If you think you’ve seen some awesome products rolled out by Taco Jesus this year, then strap yourself in because the awesomeness we will be rolling out these next few days and weeks for the Christmas shopping season will BLOW YOU AWAY! 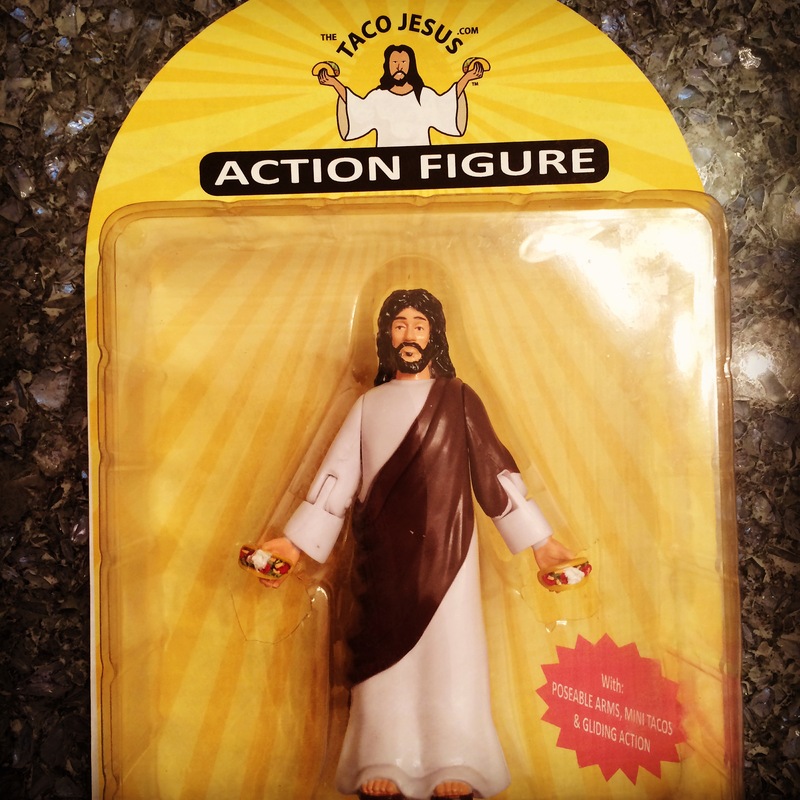 The much anticipated Taco Jesus Action Figures which have been a hard-to-come-by-collectible, usually only available to vendors and retailers of Taco Jesus Gourmet Foods products, will be available in a very limited quantity beginning on Black Friday – November 27th on a first-come, first-served basis. Featuring gliding actions, and pose-able arms for “real taco action” these rare collectibles are sure to please the taco or hot sauce enthusiast in your life. Taco Jesus Fish Taco Car Emblems have just been release and are already close to selling out. If you haven’t already gotten your hands on one yet, get one today before they are gone. We hope to have more in stock before Christmas, but cannot guarantee they will arrive in time. 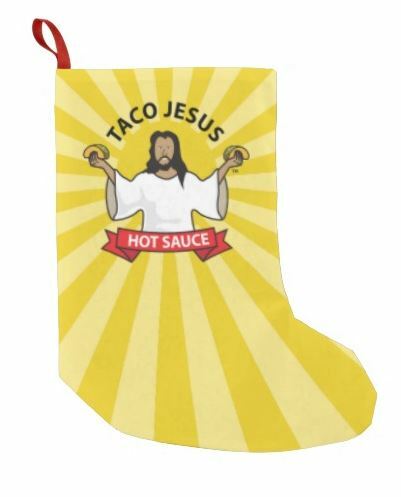 But wait there’s more … Taco Jesus Stockings stuffed with awesome spicy goodness are also in the pipeline and will be posted for sale SOON along with many other awesome goodies yet to be announced! Stay tuned and spread the Taco Gospel!